The Mack Daddy 3 builds on the success of its predecessor the Mack Daddy 2 and aims at rectifying its shortcomings. It is available in W, C, and S-grinds but the latter is the most versatile of the three as it is suitable for a variety of shots, swings types, and conditions. The wedge also features Progressive Groove Optimization, a high toe profile and a semi-straight leading edge. Mack Daddy 3 s-grind comes with a steel shaft that is available in both stiff and wedge flex, and it is a very customizable club since you can also choose from different grips and finishes. S-Grind: The s-grind is the most versatile club in the Mack Daddy 3 model. It is an excellent golf club for a variety of conditions including both firm and soft, various swing types and also for all shot types. Progressive Groove Optimization: This wedge features progressive groove optimization which is a three groove package that is precision milled on the face to optimize the spin and to create a smooth transition from the irons to wedges. Shaft: Like most other wedges the shaft features a steel construction. However, the shaft is available in both stiff and wedge flexes to give golfers more options. Shaping and Design: The shaping and design combine advanced cad design with input from tour players to create a wedge with a semi-straight leading edge and high toe profile. Customization: Callaway makes this as one of their most customizable wedges as you can choose from a variety of grips, shafts, and finishes to create a club that conforms to your playing style and preferences. 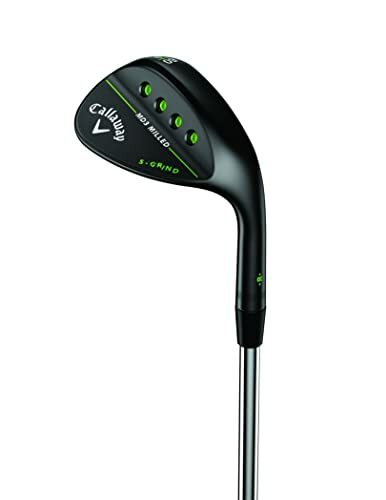 The Mack Daddy 3 is another top notch wedge by Callaway, and it is an improvement of their Mack Daddy 2. With this wedge you can always be confident of making some impressive shots from a variety of surfaces and the s-grind will work well for a variety of shots and swings. 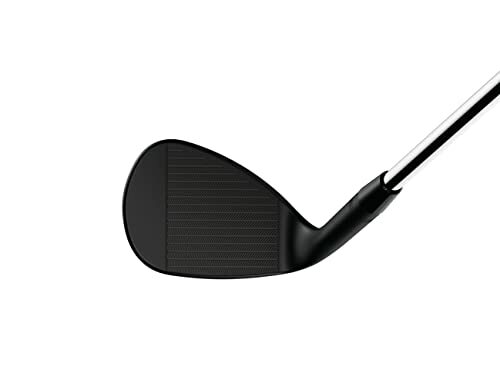 If like most golfers the appearance of the wedge matters to you this one with its sleek matte black finish will impress you and help boost your confidence. There is almost no shortcoming with this wedge apart from the price and the grip needing a little improvement. And this shows that whether you are a beginner or professional this wedge will always leave you a happier golfer and its versatility also means that it will work for all handicaps. Any golfer that wants to add a handy club to his golf set will not regret buying the Mack Daddy 3 s-grind.